As you may have seen in the past weeks, Samsung Heavy Industries Nigeria Limited (Samsung) has taken its dispute with the LADOL Group to the Federal High Court and to the court of public opinion via newspapers and other media. I have called you to explain the dispute to you so that you are not forced fed Samsung’s self-serving narrative and propaganda. There are three aspects to the dispute between Samsung and LADOL. The first is the ownership of SHI MCI FZE, which is a joint venture between LADOL and Samsung formed to perform the Egina FPSO EPC contract between Samsung and Total Upstream Nigeria Limited (Total). The second aspect is SHI MCI FZE’s sublease agreement with a LADOL affiliate, Global Resources Management Limited (GRML). The third is SHI MCI’s operating licence as a free zone enterprise within the LADOL free zone. On 5 September 2018 LADOL issued proceedings at the Federal High Court, Lagos Division (FHC/L/CS/1459/2018) seeking to set aside a 2014 settlement agreement it had entered into with Samsung for fraud and misrepresentations and to restore the parties to their pre-2014 settlement ownership of SHI MCI FZE, namely 80% (LADOL) and 20% (Samsung). LADOL is also seeking a rectification of the share register of SHI MCI FZE to reflect the 80:20 ownership structure. LADOL has also issued an interlocutory application for injunctions to restrain Samsung from parading itself as owner of 70% of SHI MCI FZE and from selling or otherwise dealing with or disposing of the shares in SHI MCI FZE pending the hearing and determination of the substantive proceedings. I would like to give a brief background to the 2018 litigation. LADOL and Samsung agreed between 2010 and 2013 to tender together (as local content partner and main contractor respectively) for the Egina FPSO contract which Total intended to award. They agreed that if the tender was successful, a joint venture company – SHI MCI FZE – would be formed to construct and own the upgraded fabrication and integration facilities at LADOL, on the basis of 80% ownership by LADOL and 20% ownership by Samsung. This ownership structure reflected the fact that the upgrade of the fabrication and integration facilities at LADOL was one of the local content facilities approved by the Nigerian Content Development and Monitoring Board (“NCDMB”) and committed to by Total for the Egina FPSO contract. As a result, the Egina FPSO contract provided that Total would pay Samsung a capital sum to enable Samsung to build the facility as a contractor to Total and in fulfilment of Total’s local content obligations and commitments to the Nigerian regulators, rather than as an investor. The joint bid by LADOL and Samsung was successful and it was awarded the Egina FPSO EPC contract ultimately in the sum of over US$3.1 billion which, unknown at that time to LADOL, included a sum of US$214 million for the construction of the upgrade of the fabrication and integration facilities at LADOL. As soon as the Egina FPSO contract was awarded, Samsung took every step and opportunity to exclude LADOL from the local content elements of the contract so as to appropriate to itself the upgrade and ownership of the fabrication and integration facility at LADOL. In particular, Samsung unilaterally fixed the EPC costs of upgrading the fabrication and integration facility at LADOL at US$300 million, refused to have the upgrade project financed as was typical of such facilities, insisted on providing corporate finance on its own terms and asked LADOL to provide US$240m as debt and equity to pay for its 80% ownership of SHI MCI FZE and the facility. Samsung also insisted on other unreasonable terms with the result that the EPC contract proposed by Samsung for the construction of the upgraded facilities was utterly unbankable. Whilst discussions were continuing between Samsung, LADOL and the Nigerian government regarding the way forward, on 23 December 2013, Samsung purported to terminate all its three agreements with LADOL for the upgrade of the facilities, namely the joint development agreement, the EPC Letter of Intent for the upgrade, and the shareholders agreement, and issued three London Court of International Arbitration (LCIA) arbitral proceedings in London, England seeking declarations that each of the three agreements with LADOL had been validly terminated and asking that LADOL should pay it $18 million for the design of the fabrication and integration facility! 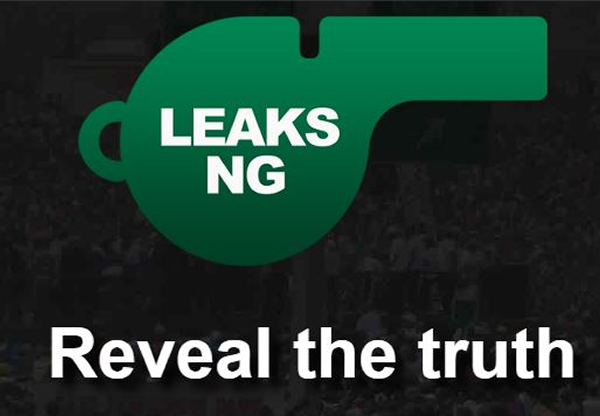 In order to defend local content and itself, on 24 January 2014, LADOL issued proceedings at the Lagos Division of the Federal High Court seeking 19 declaratory and other reliefs against Samsung, Total, NCDMB and the Minister of Petroleum Resources (the 2014 FHC Proceedings). In the 2014 FHC Proceedings both Total and Samsung denied that the Egina FPSO contract made any provision for the upgrade of the fabrication and integration facilities at LADOL or allocated US$214 million or any other sum to the upgrade of the fabrication and integration facilities, whether as local content capacity building projects or at all. At the request of the Nigerian regulators the London arbitral and 2014 FHC Proceedings were compromised and settled pursuant to a settlement agreement between the parties to these proceedings dated 1 June 2014 (“Settlement Agreement”). The said settlement was on the basis of Samsung’s deliberate misrepresentation and fraud (upon which LADOL relied) that no money was provided in the Egina FPSO contract for the upgrade of the LADOL fabrication and integration facilities, whether as part of Total’s local content commitments or at all. As a result, LADOL surrendered its 80% equity interest in SHI MCI FZE, gave Samsung 50% and accepted a 30% equity interest, for which it paid Samsung and SHI MCI FZE US$40.5 million. In early 2018 the Nigerian Senate Ad hoc Committee on the Investigation of the Local Content Elements of the Egina Project commenced public hearings on the local content elements of the Egina project and invited Total and all its contractors and subcontractors to give evidence to the Committee. LADOL was also invited. During the course of the Senate Ad Hoc Committee investigating the local content elements of the Egina project, it emerged for the first time that, contrary to the representations made by Total and Samsung prior to, during and after the settlement negotiations, the upgrade of the facilities at LADOL was indeed included in the Egina FPSO contract, Total had paid Samsung at least US$214 million for the upgrade of the facilities and that Samsung was seeking to retain the US$214 million paid by Total and at the same time assert ownership of the upgraded facility which it was paid to build as a contractor to Total and its OML 130 partners rather than as an investor. It is therefore shocking that Samsung is still claiming ownership of the facility in LADOL, which it had built as a Contractor to Total (and other OML 130 owners) rather than as an Investor in Nigeria. Samsung not only hid these facts from LADOL, it sought to exclude LADOL from the project so as to own the facility. Consequently, Samsung procured the 1 June 2014 settlement agreement by fraud and misrepresentations. Aveon Yard, Port Harcourt: Upgrade of the yard and construction of new facilities was completed for the Subsea Production Systems (SPS). Samsung, on the other hand, has remained consistent in its assertion of ownership of the fabrication and integration facility on the basis that it had singlehandedly funded the construction of the facility, which it claims to be US$300 million. The first is the fraud by which Samsung took LADOL’s equity in SHI MCI FZE and gave itself 70% ownership of a fabrication and integration facility which was approved by the FGN and funded by Total as the poster child of Nigeria’s local content policy in respect of the Egina FPSO Samsung thus misappropriated a local content facility and claims it as its own facility that with which it could do as it pleases. This is a massive fraud against LADOL and Nigeria by depriving LADOL and Nigeria of a capacity development project which they had planned to use to benefit Nigeria by attracting other investments and creating at least 50,000 direct and indirect jobs. Similarly, by completely excluding LADOL from the facility, Samsung ensured that there was no technology transfer to Nigerians. The third misrepresentation and fraud is the lie by Samsung that it made a foreign direct investment of US$300 million into Nigeria, whereas the truth is that Samsung was paid as a contractor to build the fabrication and integration facility at LADOL as a part of the Egina FPSO package Samsung is a Contractor, not an Investor in respect of the facility. It invested nothing. GRML terminated SHI MCI FZE’s sublease on 5 September 2018 for three reasons. First, unremedied and material breaches of sublease covenant. Second, denial of its landlord’s title by inter alia asking the Nigerian Ports Authority (NPA), the head lessor, to carve out a portion of GRML’s leased land and grant a direct lease in favour of SHI MCI FZE, so that SHI MCI FZE could deal directly with all government regulators without needing to go through GRML or the Zone Management. Third, as a result of SHI MCI FZE’s anticipatory breach of the sublease agreement. Although its sublease provided for an upward only rent review, SHI MCI FZE wrote to GRML and numerous government agencies informing them that on the expiry of its current sublease in June 2019 it would unilaterally reduce its rent from US$70 per sq metre to US$5 per sq metre – a reduction of more than 90%! GRML regarded the renunciation of the upward only rent review as an anticipatory breach of the sublease contract which it accepted and immediately terminated the sublease as it is entitled to do as a matter of law. It did not need to wait and see whether in June 2019 SHI MCI FZE would recant and pay the reserved rent or insist on paying US$5 per sq metre. It was entitled to accept SHI MCI FZE’s anticipatory breach and accelerate the termination of the sublease. On 29 July 2018 SHI MCI FZE’s annual operating licence expired and terminated by effluxion of time. In order to renew its operating licence, SHI MCI FZE was required to fulfil the requirements of Regulation 41 of the LADOL Free Zone Regulations 2016, which provides three cumulative conditions – payment of licence fee; provision of all information, documents and returns requested by Zone Management; payment of all outstanding amounts and fees due to Zone Management. SHI MCI FZE did not satisfy the conditions of Regulation 41. It had placed itself above Nigerian law and free zone regulations. SHI MCI FZE was law unto itself, acted with impunity and had been in persistent and deliberate violation of extant laws and regulations. Moreover, it had been defiant and unruly. Consequently, SHI MCI was unable to satisfy Regulation 41 and was not entitled to a renewal of its operating licence. On 2 July 2018 the LADOL Zone Management granted Samsung a two-month licence extension in order to enable Samsung to complete its work on the Egina FPSO, a strategic national project, so that it could sail away to the Egina oilfiled in OML 130. The Egina FPSO sailed away on Sunday, 26 August 2018, while the two-month extension to SHI MCI FZE’s operating licence expired at midnight on 2 September 2018. From 3 September 2018 SHI MCI FZE has had no operating licence. And with the sail away of the Egina FPSO, SHI MCI FZE’s facility user licence automatically terminated. SHI MCI FZE has no subsisting or residual contractual or other relationship with the Egina FPSO and can no longer take refuge in the Egina FPSO to justify its misbehaviour. Since 5 September 2018 SHI MCI FZE has had no valid or subsisting sublease in the LADOL Free Zone. One of the requirements for an annual operating licence is possession of a valid and subsisting lease or sublease agreement by a free zone enterprise. As SHI MCI FZE has no valid or subsisting sublease, this is an additional reason why it is not entitled to a renewal of its annual operating licence. Some of you may have noticed that Samsung published in ThisDay newspaper of 19 September 2018 notice of contempt proceedings which it issued against certain directors of the LADOL Zone Management because, so it says, its operating licence was not renewed and consequently it is unable to access the LADOL Free Zone. The publication of the contempt proceedings followed a publication by Samsung in ThisDay newspaper of 3 September 2018, to the effect that the court had restrained LADOL Zone Management from “violating SHI MCI FZE’s operating licence”. As the matter is in court I need not say much save to correct a few errors and bring you up to date with what is happening in this regard. First, contrary to Samsung’s newspaper publications, there is no court order restraining the Free Zone Management from doing anything. The temporary restraining order granted by the court on 31 July 2018 was discharged by the court on 14 August 2018. Secondly, even if, contrary to the true position, there is such a restraining order, LADOL Zone Management has not “violated” SHI MCI FZE’s operating licence. The operating licence, both the annual and the two-month extension, expired in June and early September 2018 respectively by effluxion of time in accordance with their terms and without any intervention by LADOL Zone Management. LADOL Zone Management did not do anything to bring about the expiry of the operating licences. What is more, on 31 July 2018, the Federal High Court refused Samsung’s ex parte (without notice) application to compel the Zone Management to renew SHI MCI FZE’s operating licence. Samsung appears to labour under the misunderstanding that the Federal High Court’s order of 14 August 2018 requiring the parties to maintain the “status quo” means that time will stop to run on its operating licence or any extension thereof or that the duration of the licence is frozen or somewhat suspended or held in abeyance. That is not so. The Federal High Court did not issue any order stopping time from running on Samsung’s operating licence or suspending its two week unexpired duration from expiring, nor did grounds exist upon which such an order could have been made. In fact by the time the court asked the parties to maintain the status quo on 14 August 2018, SHI MCI FZE’s annual operating licence had expired and the status quo was that it had no annual licence, while the two-month extension had a couple of weeks to expire. The position remains that Samsung has no operating licence. Notwithstanding the expiry of the operating licence the Zone Management has continued to allow access to the LADOL Free Zone to facilitate the work being done offshore on the Egina FPSO by Samsung and Total because of the strategic national importance of the Egina FPSO project. Finally, the affected directors have applied to set aside the contempt proceedings for being grossly irregular and consequently invalid. By issuing contempt proceedings, Samsung is seeking to get through the backdoor and by means of intimidation and coercion an order to renew the operating licence which the court refused to make on 31 July and 14 August 2018 respectively.